Everybody knows how beautiful is the cherry blossom season in Japan (and how big a party it is): it generally lasts a couple weeks between late March and mid-April. 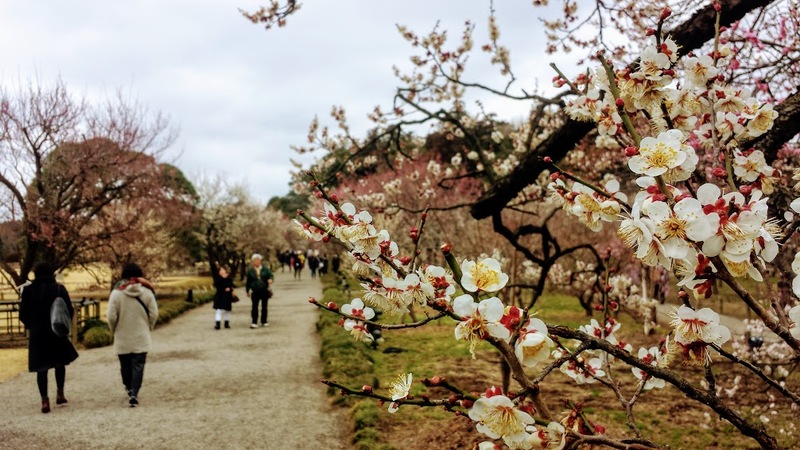 Fewer people know, however, that among the first trees to bloom there are the Japanese plum (ume, in reality a tree closer to apricot) and that their flowers begin to open up much earlier, around mid-February. I, despite my eight trips to Japan, was in the latter group. I had discovered it by accident, reading my guidebook and asking friends about options for day trips from Tokyo last February: just an hour by train from the capital, in Ibaraki prefecture, there are Mito city and its Kairakuen garden. It’s usually listed as one of the three most beautiful gardens in Japan, together with Korakuen in Okayama and Kenrokuen in Kanazawa: I wonder how they make these lists. I have seen many stunningly beautiful gardens in Japan and I really couldn’t pick the best three. Anyway, Kairakuen is home to three thousand plum trees and is famous for a festival held from the end of February to the end March, Mito ume matsuri, the plum festival I had to go. And I also found I was quite ignorant on the topic: hanami means to look at flowers, to admire flowers. And plum trees were admired for their flowers much earlier than cherry trees (seventh, eighth century), for which the word hanami is now known around the world. 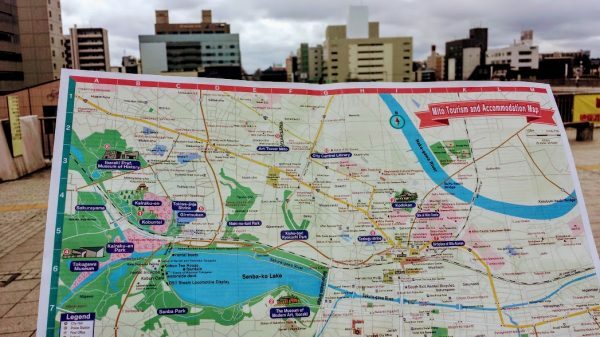 I get off the train and ask for a map at a small, but efficient, Tourist information office. Mito is not beautiful, from what I see: it seems soulless as almost all modern Japanese cities. But walking to the park is pleasant and follows the shore of the pretty Senba lake, although the overcast sky lays a grey patina over it, and the swan-shaped boats moored in the lake definitely add something melancholic to the sight. When I arrive at the park I see a lot of people wandering around, although the plum blossoms aren’t yet in full bloom. The peak will be a little later. But seeing so many together is still something special, magic. The flowers are of many different colors, ranging from pale pink to more intense shades. And then there are the classic Japanese street food stalls and I immediately get some takoyaki. This snack is a classic: small dough balls, filled with a small dice of octopus. Might sounds weird, but is definitely tasty. It all looks like a low-key hanami, especially if compared to what happens in spring. But after all is just a Tuesday afternoon. And for sure it’s way colder than spring. The plum trees have gorgeous colors, even if today there is no trace of blue sky that I love so much in Japanese winters. But the park is important not only for its beauty but also for its particular history: it was opened in 1842 and it was dedicated to public use. Its name, Kairakuen (偕 楽 園) roughly means “a park to enjoy together.” The concept was a novelty, at least in Japan. In Europe, public parks at the time were few, and opened just a few decades before. Was it just a great idea of the local lord, Nariaki Tokugawa? Partly. Around 1829 Nariaki was concerned by the increasing presence of European and American ships along the coasts. 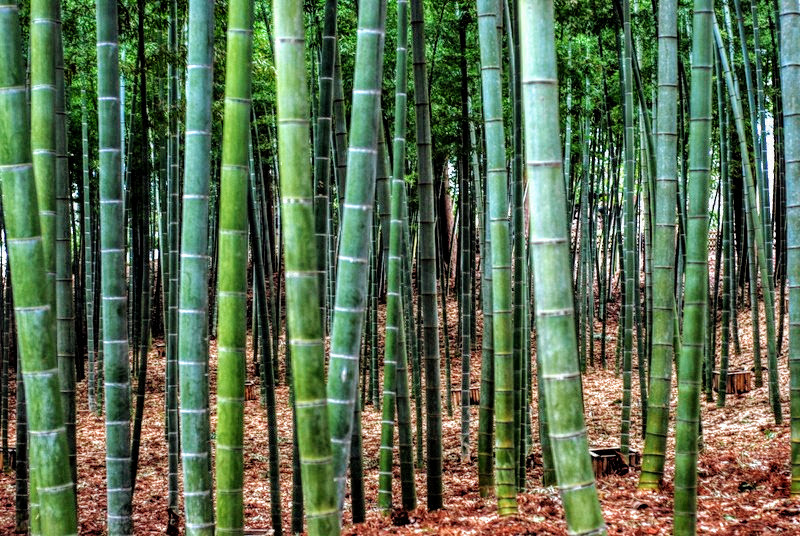 He feared an invasion (Japan was yet to open up to trade), so he ordered to plant a thousand plum trees. The umeboshi, salted and preserved plum is a classical Japanese specialty: it can be kept for a long time and Tokugawa thought it was ideal to feed the troops and resist in the case of war. I do not know if the idea would have worked, but luckily there wasn’t any need: the American invasion was (at least in the nineteenth century) it was just a commercial one, and the large military orchard was turned into a park. We have already said that the plum trees in this case are not exactly plums: the Japanese plum, writes Wikipedia, is actually more related to apricots. It certainly has beautiful flowers. But the park is also a small summary of the natural beauty of Japan. There are also a small bamboo grove and a one of sugi, the majestic Japanese cedar (Cryptomeria), which usually covers hills and mountains. 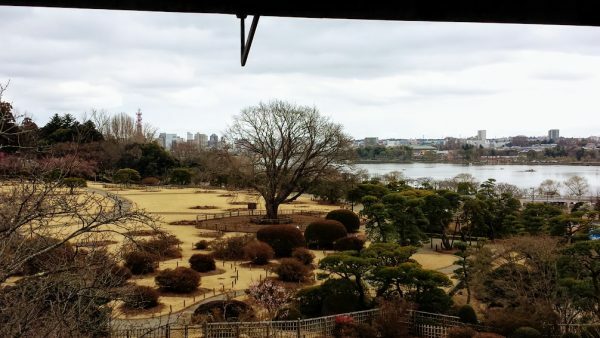 At the center of the park one can also enjoy a nice view from the top of Kobuntei, a historical three-storey building (for which a 200 yen ticket must be paid). 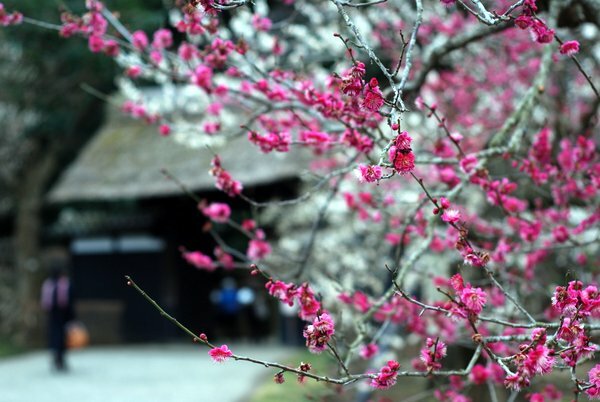 Is it worth it to make the trip to Mito to see the plum blossoms and enjoy some early hanami atmosphere? It definitely is, given that you have a Japan Rail Pass, otherwise it might perhaps be a little too expensive. The express train from Tokyo or Ueno along the Joban line costs, in fact, 4,200 yen (one way) and takes just over an hour. Local trains cost less (half) and take twice as long. Quite expensive. There is also a 2000 yen bus (2 hours). For food lovers, I might also point out that Mito is famous for natto: fermented soybeans that for many foreigners (and Japanese as well), has an unpleasant smell. All the texts are by Patrick Stephen Colgan. All pictures by me; when not otherwise specified, are licensed under the Creative Commons licence by-nc-sa. For commercial uses please contact me. This post has been translated from my italian blog, Orizzonti.